A new holy war is growing within the conservative evangelical community, with implications for both the global environment and American politics. For years liberal Christians and others have made protection of the environment a moral commitment. Now a number of conservative evangelicals are joining the fight, arguing that man's stewardship of the planet is a biblical imperative and calling for action to stop global warming. But they are being met head-on by opposition from their traditional evangelical brethren who adamantly support the Bush administration in downplaying the threat of global warming and other environmental perils. The political stakes are high: Three out of every four white evangelical voters chose George W. Bush in 2004. "Is God Green?" explores how a serious split among conservative evangelicals over the environment and global warming could reshape American politics. 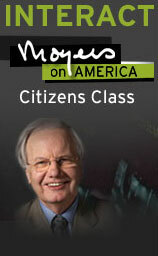 With the MOYERS ON AMERICA series, we inaugurate the Citizens Class, an extensive, interactive curriculum designed to encourage and facilitate public discourse on the issues raised in the series. The workshop features multimedia discussions, reference materials on the key perspectives presented in the program, and questions for further reflection  all designed to stimulate deep and thoughtful community dialogue. Interested? Check it out. In search of specific information? Just browsing? 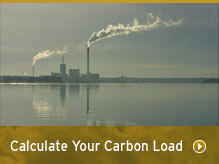 Select topics below to explore a range of issues, from the role of religion in American politics and the current religious-themed debate over global warming to protecting your community's environmental health. In our resources section you'll find essential documents, a glossary, a timeline charting important events in U.S. environmental and evangelical history, and sites for further research. Visit Watch & Listen for Web-only video and audio and excerpts from the Moyers program archive. Read the transcript of "Is God Green?" "First, not earthshaking regarding climate science but of some interest to yours truly, Bill Moyers's documentary "Is God Green? "...airs on PBS Wednesday evening, October 11 (check local listings). When Moyers interviewed me for the documentary last spring, he very candidly told me that he is a liberal Democrat and intended for the documentary to influence the November elections to bring control of Congress back to the Democrats. Don't expect good science, economics, or ethics--or even journalistic balance." Dr. Beisner is not telling the truth. Bill Moyers did not say that or anything like it. Every other conservative evangelical in the documentary wrote or called the Moyers team to praise the integrity of the documentary and their treatment in it. Mr. Moyers immediately wrote Dr. Beisner to demand an apology and a retraction. (Read the email) (PDF) When Dr. Beisner did not respond, Mr. Moyers, through counsel, repeated his demand for a retraction and an apology. On Wednesday, October 25, 2006, Dr. Beisner had let his false statement stand and Mr. Moyers sent another letter to him via email (Read the letter) (PDF). Letter from Neil J. Rosini to Interfaith Stewardship Alliance dated October 18, 2006. (Read the letter) (PDF). Letter from J. Shelby Sharpe to Neil J. Rosini dated October 20, 2006 (received October 27, 2006). (Read the letter) (PDF). Letter from Neil J. Rosini to J. Shelby Sharpe dated October 31, 2006. (Read the letter) (PDF). Do you believe that we are a divided and polarized nation? What happens to our democracy when our affiliation with particular organizations or groups inhibits our ability to disagree? What are people doing in your neighborhood to safeguard the environment?